Whether you’re a hiking fan or not, there’s something pretty impressive about saying you’ve journeyed on foot across fourteen American states. The Appalachian Trail sets off at Springer Mountain in Georgia, and follows the ridgeline of the Appalachian Mountains to wind up at Mount Katahdin in Maine. If you’re a backpacking novice, setting off at the official starting point is not advised – kicking off the trail in Virginia cuts out some of the more treacherous areas until you’re equipped to face them when your journey winds to a close in Maine. So, what can you expect along the way? Well you’ll be starting with the most mileage of any state in the trail, with Virginia accounting for more than a quarter of the whole journey. However, it isn’t all bad news – Virginia plays host to McAfee Knob, which is unofficially known as the most photographed spot on the A.T. As you make your way through West Virginia, you’ll also pass through Harper’s Ferry. Not only is this the base for the A.T Headquarters, but it’s also considered by many to be the ‘psychological mid-point’ of the journey. Maryland offers separate challenges of its own, one of which is literally known as the ‘Maryland Challenge’. This is where hikers are put to the test to complete all of this area in a single day. This challenge amounts to around 45 miles, most of which are in Maryland. Once you reach Pennsylvania, you’ll be met with some pretty rocky terrain, earning this state the affectionate label of ‘where boots go to die’! New Jersey takes silver as the second longest state in the A.T. It’s also a prime spot for black bears – they’re particularly common here compared to other parts of the trail. Onwards to New York and you’ll be relieved that this area has very little elevation compared to its trail neighbours. This part of your journey crosses the Hudson River on the Bear Mountain Bridge, entering Connecticut through the Pawling Nature Reserve. You can marvel at the gargoyle-lined path where the trail exits Bear Mountain, too – built by more than 700 volunteers, it was completed in 2010 and comprises 800 steps. Connecticut covers around 80km of the trail and lies almost entirely on the ridges to the west above the Housatonic River Valley. After this, it heads up to the Taconic Range before reaching the Massachusetts’ line at Sage’s Ravine. 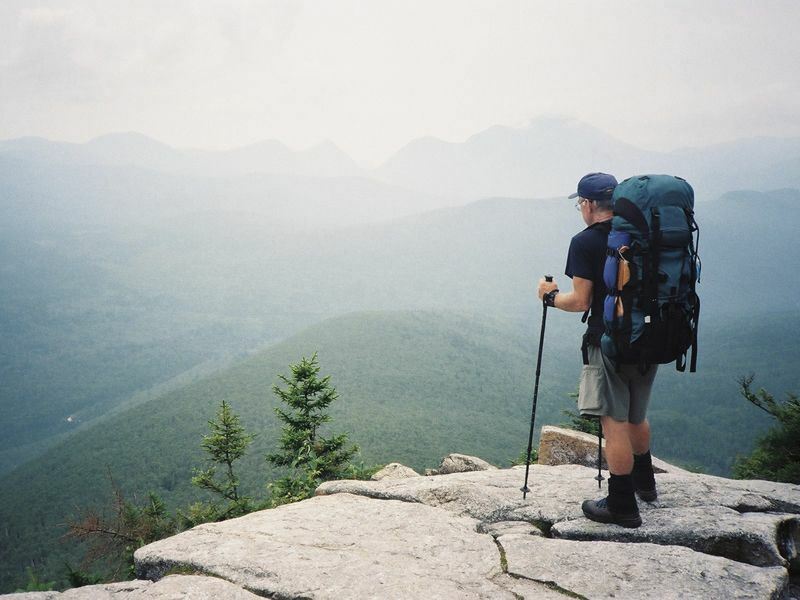 Once in Massachusetts, hikers will traverse the highest peak in the southern Taconic Mountains, Mount Everett, before ascending the Berkshire Mountains. Next stop is Vermont, where you’ll pass through the southern ridge of the Green Mountains and cross the Connecticut River en-route to New Hampshire. New Hampshire brings with it its fair share of challenges that go beyond the simple endurance tests. The terrain here is steeper and rougher, and the alpine conditions become more common along the ridges. However, if you’ve reached this point, the end of the trail is almost in sight. Maine marks the final stage of the A.T, and is considered by the Appalachian Trail Conservancy to be the most difficult state to trek through. Here you’ll test your stamina tackling mile-long stretches of boulders, un-bridged streams and isolated sections of the journey. The good news? You can expect to see moose, with hikers claiming to see more of these animals here than anywhere else, and you’ll also have reached your endpoint in the form of Mount Katahdin.